This is a new "feature" I will be adding to the blog. Five secrets a post. Can you handle? and literally bump phones to swap contact info. Not twitter, but fun networking ;) & totally FREE! 2. Pingwire.com, the Live Twitpic Feed. See what everyone is Twitpic-in'! "shorthand language" Gettin' all abbreviated. Now you know it when someone quits following you. Hmmm... maybe we'd rather be in the dark? 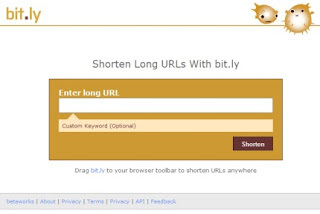 Shorten, tweet, and track your URLs. You can see how many ppl click on your link. And tweet big links that would never fit into 140 characters! 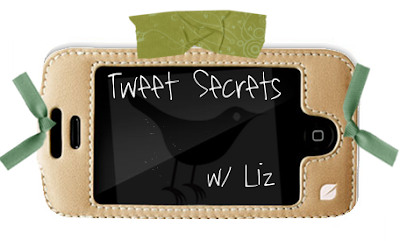 so im guessing all these secrets are about twitter. short story: i tried to make a twitter. i made it, tried to put a picture up. i tried like seven pictures and all of them were too big!! so long story short, i got frustrated and deleted my account because from what some friends had already told me about twitter, i kinda already had bitter feelings about it...hahaha maybe next time i'm bored i'll try it out again...is it really that worth it?! You can resize your pics at photobucket.com. Have you used it before? 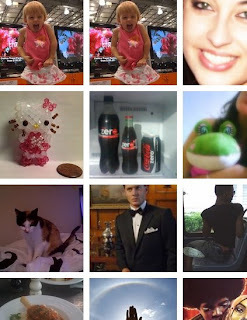 For those who haven't and are stuck on having no twitter picture, create a (Free) photobucket account. You can then upload, edit the pic, and save it back to your computer. Um Liz please help me, the twitterretarded. I seriously don't know how to do anything except change what I'm doing. My boyfriend set it up for me & even he doesn't really know how to use it haha. All these secrets sound cool if I knew how to use it. How do people put pics from their phones onto Twitter? YA I need twitter 101 class. I'll post a twitter 101 :) with how-to upload pics from phone and all that jazz, you'll be a pro. And you can shock/impress your bf with your new skillz. haha!